Brew coffee in it’s purest form every day at the office. There’s something special about whole bean coffee. It has that fresh, untouched feel that coffee lovers crave. With bean-to-cup brewers, you get to brew coffee in its purest form. Every cup takes you back to a small farm, in an exotic location, where beans are harvested and roasted to perfection. You shouldn’t have to settle for anything less than that. 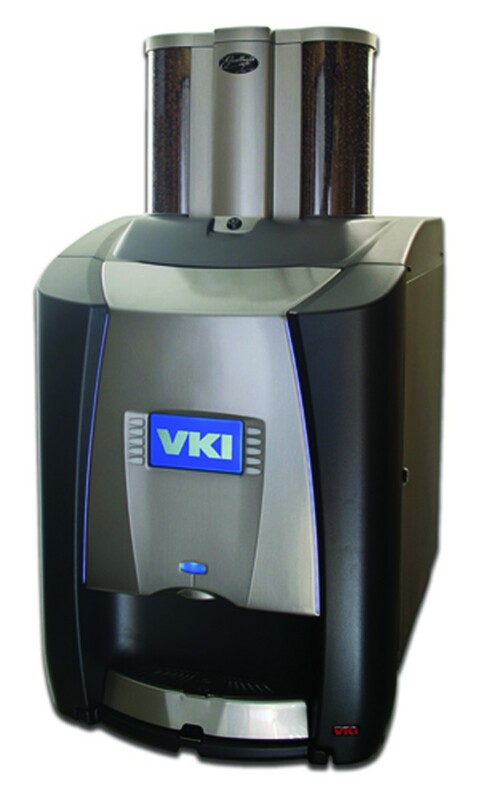 Working with both whole beans and ground coffee, the Virtu 90 Series offers a wide variety of coffee and specialty drinks. The unique CoEx-brewer is able to make both regular coffee and espresso through a unique pressure switch. 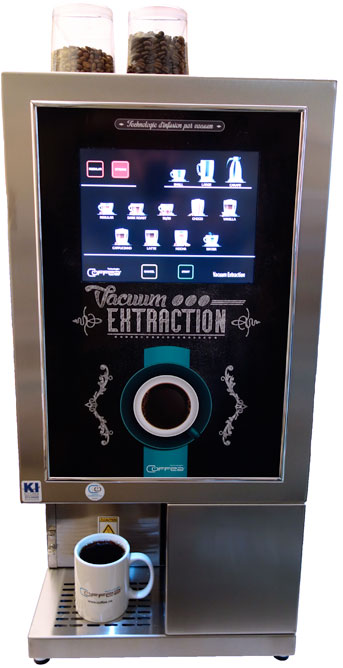 Focused on flavor, inspired by the natural chemistry and experienced in “design for use,” Coffeea Technologies has created a super automatic patented vacuum brewing system, featuring an intuitive interface, easy maintenance and reliable performance. Integrated Dashboard for consumption/sales data, beverage counters, etc. Wireless feature, screen customization, vending – coming soon! The Nio from de Jong DUKE confirms what you expect; a surprising coffee experience from a professional and distinguished looking machine. With a possible daily throughput of 150 plus drinks the Nio is positioning itself to be useful in both office locations as well as in more catering and foodservice related sites. Options like a waste guide, drain connection and automatic cleaning make the machine ideal for any mid size volume location where a high quality beverage should be combined with an easy and hassle free operation. The Total 1 is a top quality coffee machine that delivers delicious single serve coffee from the bean to your cup. Its selections of three whole beans, two solubles and milk powder guarantee the satisfaction of all clients, even the most demanding ones! Total Lite is the sleekest bean to cup coffee machine from Innovation Series. 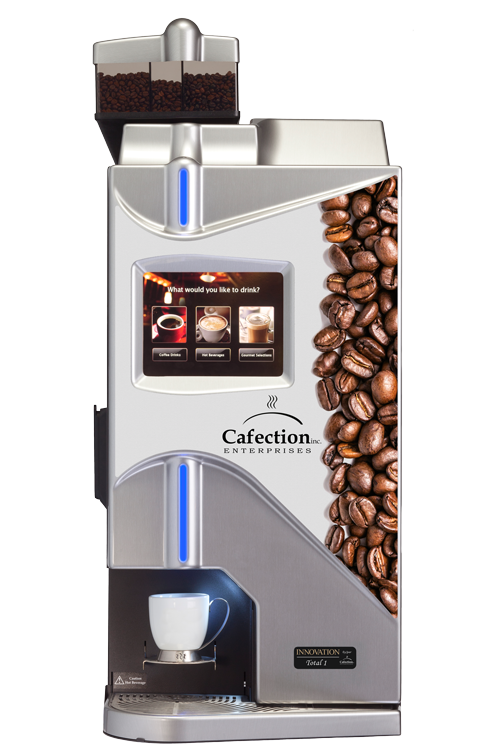 It offers the advantages and quality of a Cafection coffee machine with less space requirements! This top quality coffee machine, with its three bean hopper and two soluble canisters, offers a great selection of coffees and hot beverages that will meet your customers needs. 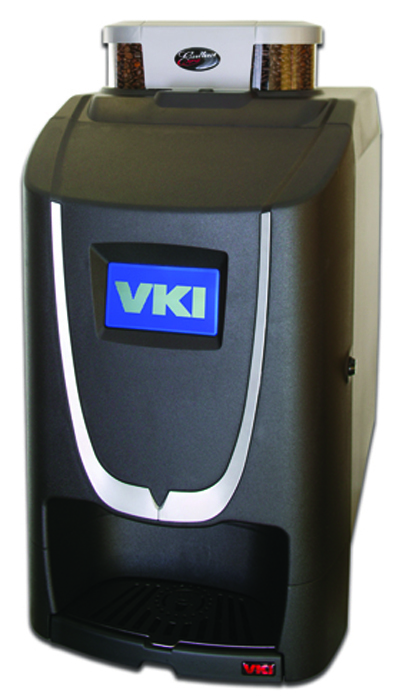 The Total Lite comes with either a black or silver fascia, on which we can add your logo to customize your machine. 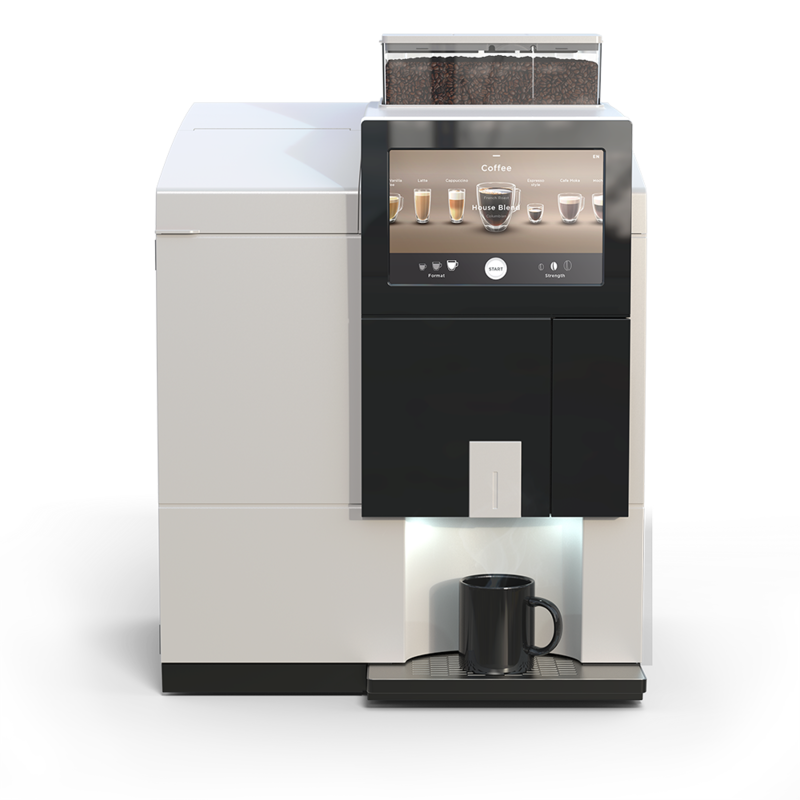 That environmentally friendly and sustainable brewer is the perfect machine for smaller offices or companies. The WMF 1400 comes in three separate models based on hopper quantity. 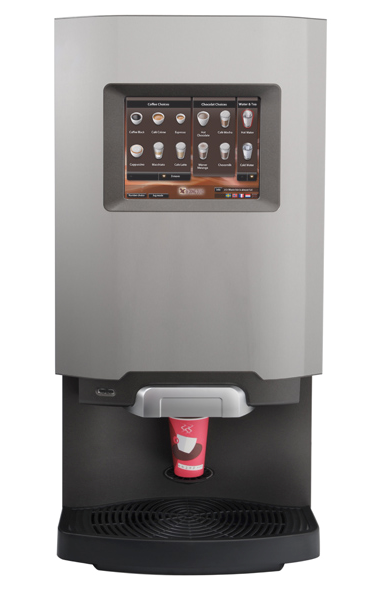 The 2 hopper model provides espresso, latte, americano and cappuccino drinks. The 3 hopper model adds on hot chocolate, and the 4 hopper model contains every hopper and a soluble milk topping hopper. With multiple water connection options, a small footprint and hassle-free electrical requirements, the 1400 is truly one of a kind. 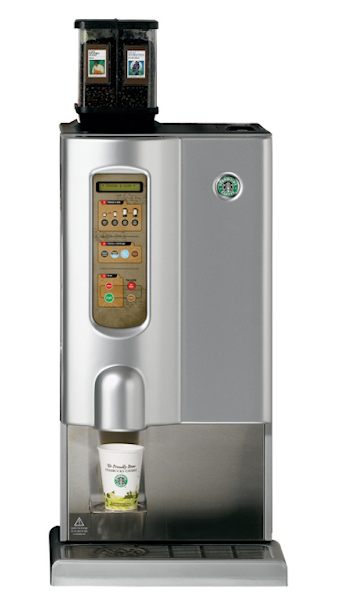 The Starbucks Interactive Cup Brewer is an attractive and easy to use machine that delivers premium Starbucks® coffee whenever you want it. 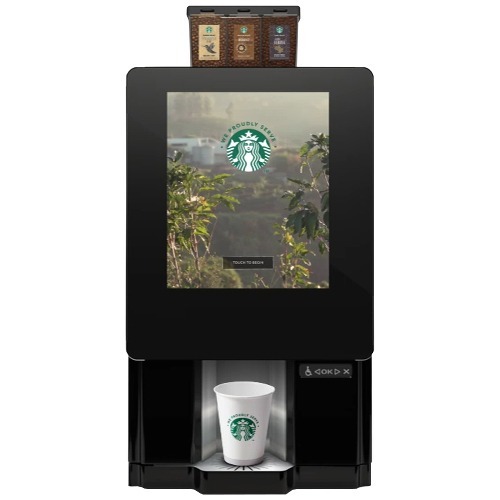 Simply press the button and the Starbucks Interactive Cup Brewer grinds roasted coffee beans and produces a perfect cup of coffee brewed to Starbucks’ impeccable standards. The brewer serves Starbucks whole bean coffee, Starbucks gourmet hot cocoa, and has space to display Starbucks Tazo tea bags. This brewer is best suited for offices of 50 or more. 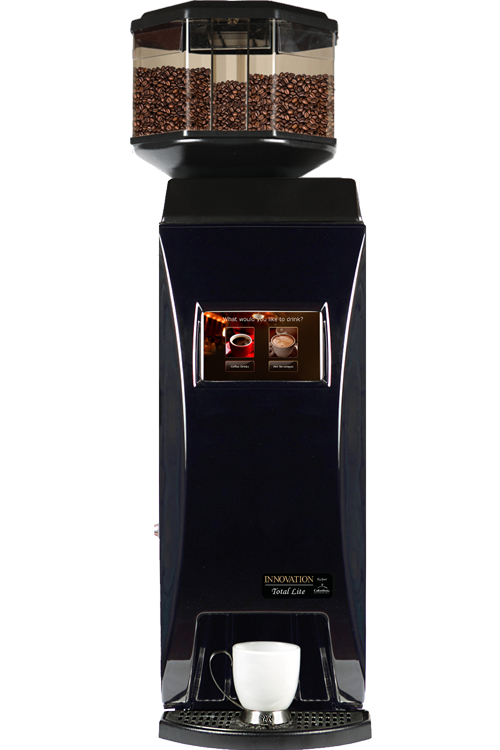 Newco’s Eccellenza Café brewer allows you to serve specialty coffees in the freshest way possible — by grinding whole beans fresh for each cup! Equipped with 3 bean hoppers and 2 additional powder hoppers, this brewer can give everyone just the coffee they want! Today’s customers are more educated about coffee and are demanding more sophisticated beverages and variety. Specialty coffees are on the rise! The Café Series allows you to take advantage of this trend and to position yourself as a provider of gourmet specialty coffees. 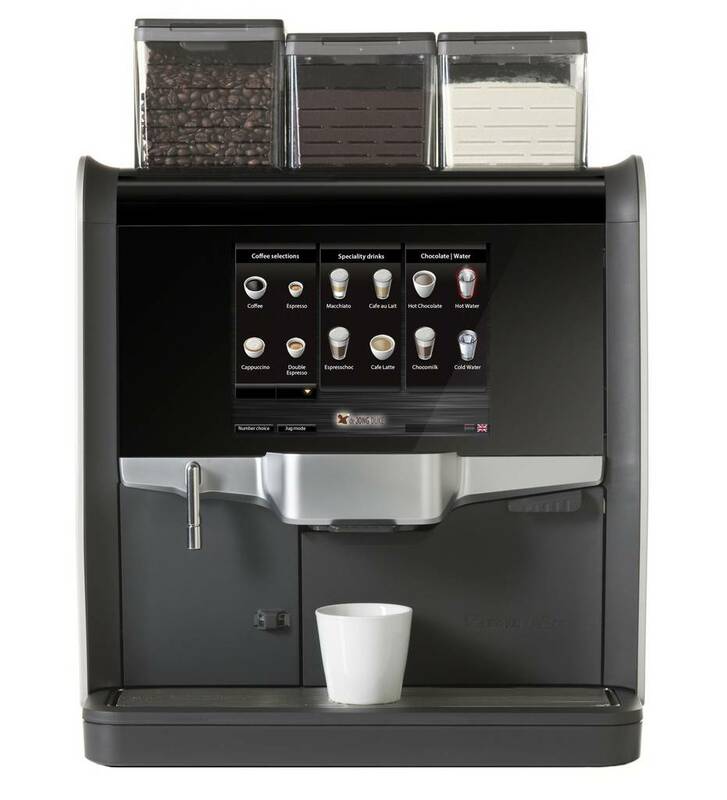 This new coffee system offers your customers a wide variety of specialty beverages and also the freshest cup of coffee possible, brewed from fresh-ground whole beans.